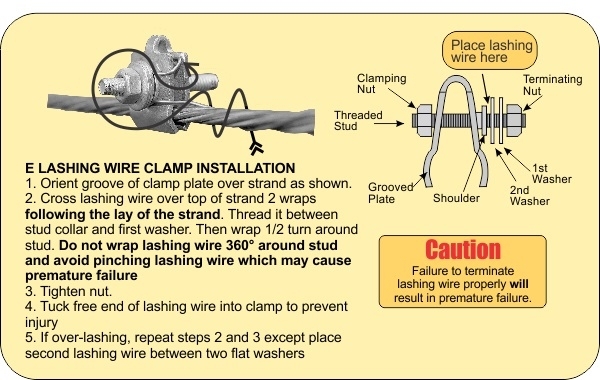 Select the standard E Lashing Wire Clamp (81460) for a 7/16" (11 mm) opening. 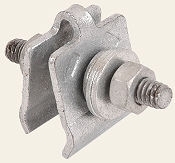 We also supply an oversize E lashing Wire Clamp (81461) with a 9/16" (14 mm) opening. Both sold in 100 piece cartons.